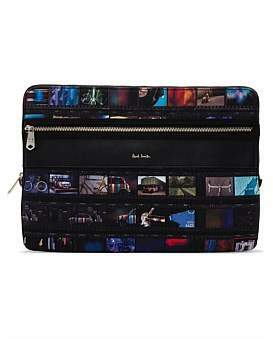 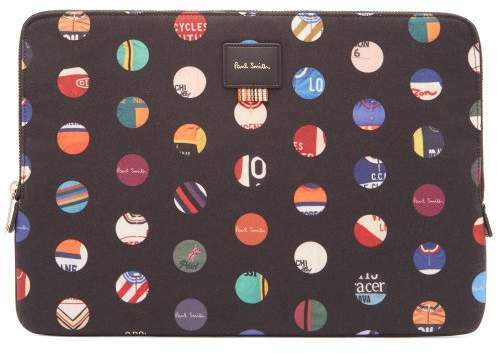 Paul Smith - Paul Smith offers a smart solution for working on the go with this black Cycle Jersey laptop case. 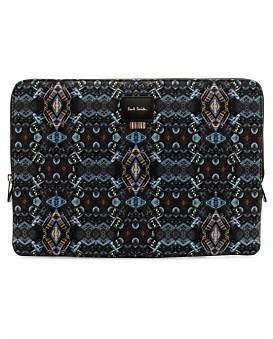 It has a pale gold-tone metal zip which opens to the main internal compartment while the soft exterior is printed with a multicoloured polka-dot pattern and topped with a black leather patch hot-stamped with the designer’s logo. 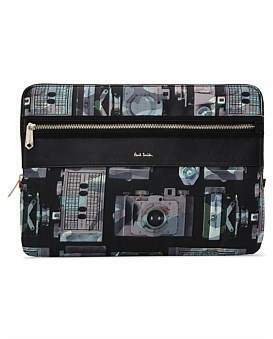 Suitable for 13in/33cm laptops.